So if you are anything like me then you are probably still rushing round cleaning the house, managing the kids and animals, and possibly still working. But it's about this kind of time when visitors stop by and we swap gifts, and I always like to feed people when they come to my house. 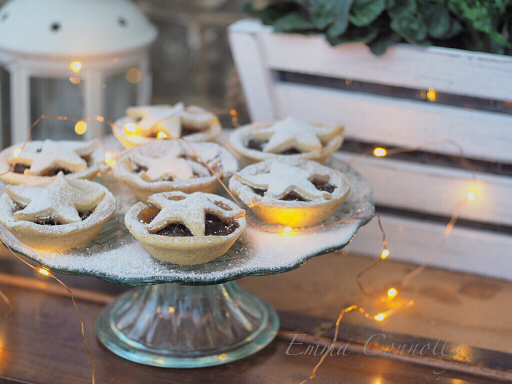 I've come up with some mince pie tricks over the years which requires little effort but always looks like i've been slaving away. 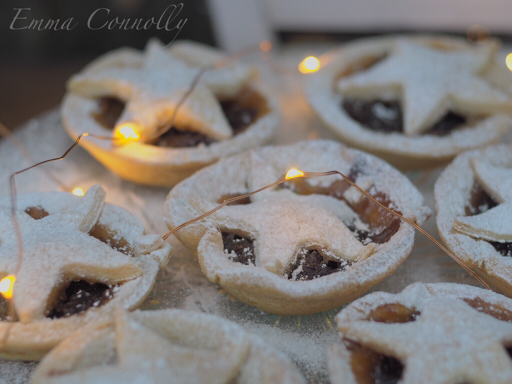 Here are my two favourite mince pie hacks! So if you don't have enough time to make your pastry then shop bought is fine, plus this little tip will have people thinking you made it! Firstly take your pastry out the fridge to leave to get to room temperature, this bit is very important, if you try and work it straight from the fridge it will just crack. Roll out the pastry to half a centimetre then sprinkle with cinnamon. Roll up the pastry like you would a rolly-polly then cut across into 1 centimetre discs. You should be able to see the cinnamon spiralled through. Squidge this into a prepared tin and you're ready to add the mince-meat. In a bowl empty your shop bought mince-meat. I like to add chopped cherries, extra brandy (just a dash) and I finish with grating the zest of a few clementines. You can also sprinkle a few toasted flaked almonds for an extra crunch. I always like to top mine with a little star. The trick is to not overfill them! It's so tempting to fill them to the top but really just a tea spoon will do. Bake in a pre heated oven at around gas 5 for roughly 20 minutes.